Dhadak Box Office Day 8: Holds Reasonably Well On Its Second Friday! 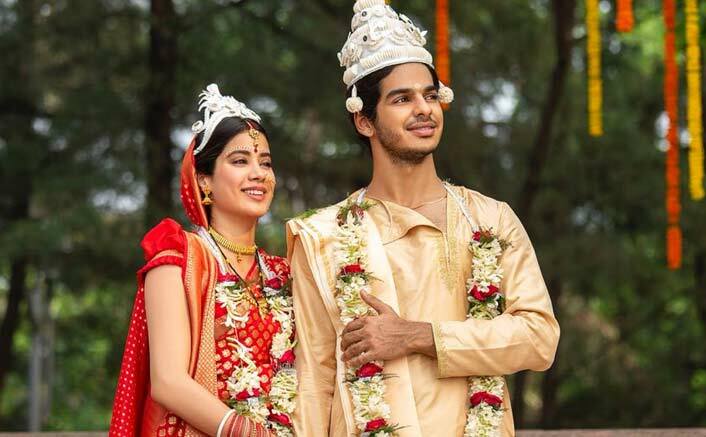 Dhadak Box Office Day 8: In its second week too, Dhadak has been attracting audiences. The film had started dropping towards the end of the first week and there was always a chance that there may be a major drop on its second Friday. Fortunately for the film though, it did manage to hold reasonably well, what with 2.61 crores coming in. Compared to Thursday collections of 3.55 crores, these were still decent numbers as it had seemed that a major dip could actually bring down the numbers around the 2 crore mark. The film has now collected 54.17 crores and 60 crores total would be comfortably surpassed before the close of second weekend. All of this means that with some stretch, a lifetime total of around 75 crores is still a possibility. Saheb Biwi Aur Gangster 3 Box Office Day 1: Takes A Very Poor Opening! Bharat: After Priyanka Chopra’s Exit, Fans Ask Ali Abbas Zafar About Her Replacement; Here’s What He Said! While that has ensured that Dhadak is a Hit, one waits for a day when an all-newcomer film manages to hit a huge six and actually enter the 100 Crore Club. That could well mark an arrival of a new set of youngsters and help Bollywood get some more bonafide superstars for the next generation. The post Dhadak Box Office Day 8: Holds Reasonably Well On Its Second Friday! appeared first on Koimoi.